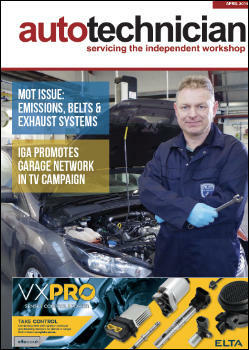 A tightening of tailpipe emissions was one of the defining MOT changes from last year; Rob Marshall looks at how they can be influenced by engine management, provides updates on exhaust noise emissions and looks at the latest feedback on current MOT updates. 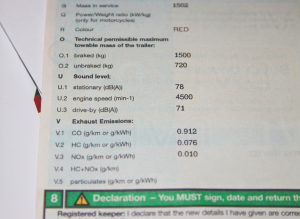 While assessing exhaust noise during the MOT is subjective, the actual limits for a particular car model tend to be displayed on the V5C – which may be worth pointing out to a customer, because it is illegal to make the exhaust significantly noisier after the car has been Type Approved. Despite the major MOT changes that were necessary from last year to comply with EU legislation, which necessitated that Vehicle Test Stations (VTS) either updated, or replaced, their Diesel Smoke Meters (plus the almost total re-edit of the MOT Inspection Manual) it is a credit to everybody involved that the public has not noticed any serious disruptions to the service. Understandably, a number of clarifications were required post- implementation to help testers address conflicting advice and definitions in their day-to-day work. Yet, a spokesperson from the RMIF told Autotechnician that it had not received any concerns from members after the initial dust settled post-May 2018. Since May, things have not been standing still. A number of technicians admitted that, while it has taken some time to adapt to the new system, they felt well-supported by the DVSA. Comments from disgruntled professionals on the Agency’s own ‘Matters of Testing’ blog, however, reveal that some testers are not so happy. Launched in November last year, a new MOT risk assessment system sought to improve standards, by targeting persistently poor-performing testers and test stations. This gave every tester and VTS a risk rating. Yet, the method of calculation would alter over time, so data cannot be manipulated in order to give more positive ratings. Naturally, testers have questioned how wise it is to base scores on national average figures and, naturally, critique has followed from testers that have seen their ratings fall. 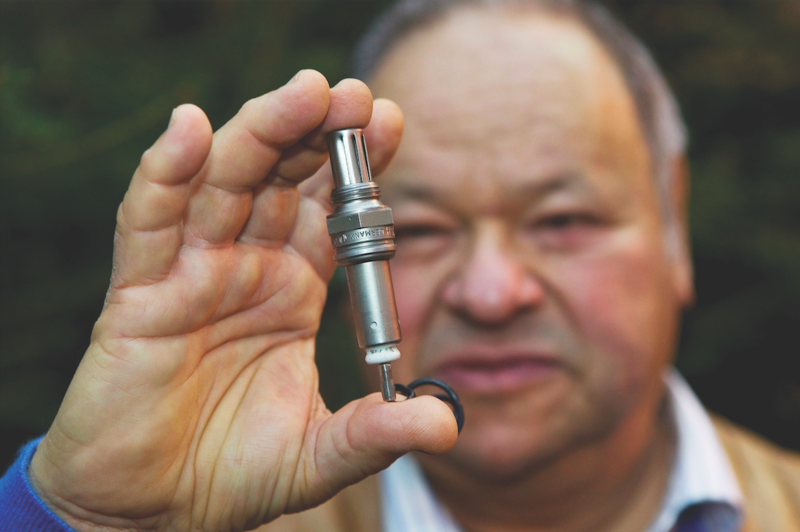 After an emissions fail, live data checks may help to pinpoint inaccurate sensor values. was introduced first in North American-specification Volvos in 1976 and produced by Bosch Automotive. Neil Barlow from the DVSA admits that, while changes will take time to bed in, the risk ratings have helped the Agency to target garages that are not doing things properly. He advises testers that, should their personal ratings be in either the Amber or Red categories, they should take a look to see what the cause might be. Mr Barlow admits that low ratings may be a concern for freelance/temporary testers especially, in which case, providing evidence of any response, such as extra tuition, will help. This is why staff training forms part of a VTS’s overall risk score and it is advisable for annual training and assessment exercises to be completed on time. Additionally, the DVSA seeks to reduce the number of vehicles that are not registered correctly during an MOT Test, which it admits takes up a lot of resources to resolve, at the expense of improving the service. In response, changes are being made to vehicle registration screens and that plug-in access to the vehicle diagnostic port is reported as being closer to becoming a reality, so that the VIN number can be read directly from the vehicle. 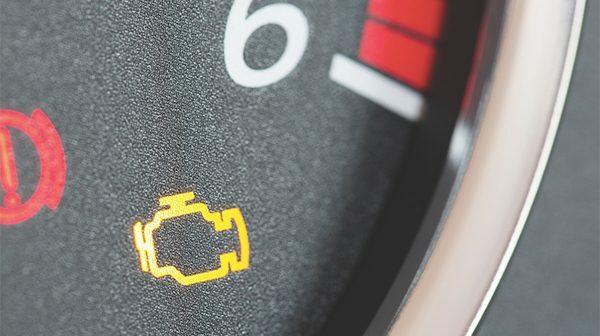 Something that the public, and testers, noticed immediately after the 20th of May was a significant rise in MOT failure rates on emissions – with 3⁄4 of a million cars not meeting the revised limits within six months. While our editorial on exhausts looks at potential problems with those systems, it is easy to forget the basics. Obviously, an engine must be warmed before the test, because anti-pollution catalysts require high temperatures to work, which leads some technicians to prefer that the car is driven hard just prior to being emissions tested. We have heard that the DVSA is checking that engine oil temperature is measured and verified, instead of being bypassed, so a pre-test drive is even more worthwhile. Do not forget that maintaining an optimum 14.3:1 air to fuel ratio is critical to achieving optimised petrol catalytic converter performance and longevity, which tends to be the role of engine management, achieved by well-maintained fuel, intake and ignition systems. HELLA emphasises the importance of fitting OE quality sensors for any repair to keep emissions within their design parameters. The company advises that the lambda sensor is subject to wear and should be checked at around every 20,000 miles – although it is fair to say that its function tends to be checked at MOT emissions test time. Yet, an emissions reading includes a lambda figure that is calculated and can be manipulated. For example, a high lambda reading that indicates a weak mixture may be the result of a leaking exhaust joint and not the fault of the lambda sensor itself. 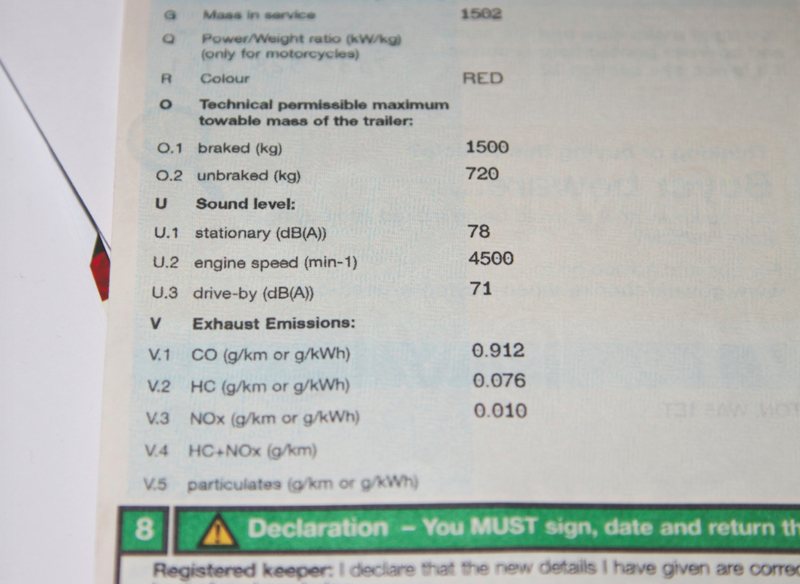 Considering that an MOT inspector should assess the noise of an exhaust system either during the emissions test, or revving the engine to around 2,500rpm (or half the maximum engine speed), it is surprising that so many non-road legal systems remain installed to everyday cars – something that is not restricted solely to the ‘boy racer’ fraternity. Naturally, this is a subjective examination, in that the tester has to make an assessment that is based on experience that the tested vehicle is not emitting a noise level beyond that of a similar vehicle with a standard silencer system in average condition. This personal opinion can court conflict from the owner. Yet, an opinion is all that a Road Traffic Officer requires to assess that a vehicle is noisier than a standard-specification alternative and we are aware of some police forces possessing decibel-reading equipment that are looking to report motorists to court, where they may face both fine and court costs. While welding repairs are not as popular as they once were, to obtain an MOT pass, it is still a useful service to offer. 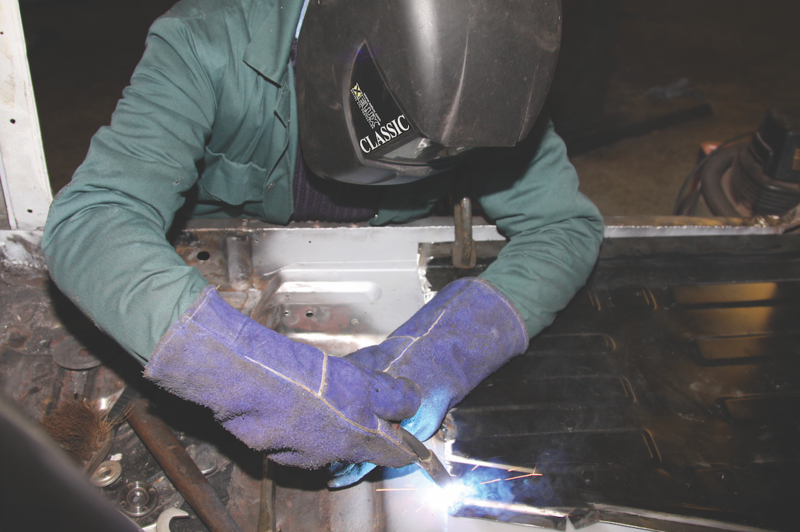 Yet, following recent scientific evidence from the International Agency for Research on Cancer, it has been found that exposure to mild steel welding fumes can contribute to the incidence of lung (and possibly kidney) cancer. Therefore, the Workplace Health Expert Committee has endorsed the reclassification of mild steel welding fumes as a human carcinogen. With immediate effect, there is a strengthening of the Health and Safety Executives’ enforcement expectation for all welding that is carried-out indoors.